While both techniques use similar tools like acupuncture needles, the procedures and treatment goals vary. In this article, we will explain the nuances of the two. 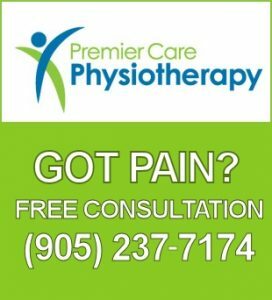 Regardless of the treatment you choose, when you approach licensed Richmond Hill physiotherapists like Premier Care Physiotherapy, you can rest easy knowing that your health is in the best of hands! Acupuncture is a traditional technique, having its roots in Chinese medicine. It is, by far, the most tried and tested method in the healthcare world. Being backed by thousands of years of proven results and satisfied patients, many are drawn to this age-old technique by default rather than exploring harsher options. The procedure calls for the insertion of needles into certain acupuncture points to alleviate several ailments including chronic pain. In Chinese medicine, acupuncture is considered to balance the flow of Qi (pronounced chi) – energy that is deemed critical to good health. This works on the belief that a network of pathways run across our body and Qi flows easily through the meridians contained in these pathways. If the Qi is hindered, the body becomes vulnerable to ailments. Acupuncture was designed to cure symptoms from the root. It is a safe and effective alternative to modern medicine and can even replace surgery in certain cases. By applying pressure to specific anatomical points, this technique stimulates the release of endorphins (hormones secreted in the nervous system and the brain and allowing for analgesic effects). Acupuncture uses atraumatic needles. These have a blunt tip, allowing them to slide easily into the tissue and not cause bleeding. These needles are inserted and remain in place for about 25-30 minutes. During the process, the practitioner may choose to adjust their placement so as to increase or decrease the flow of Qi. Not all acupuncture techniques use needles. Acupressure involves applying pressure on the pain points through the fingers. If needed, laser stimulation and electrical stimulation may be used in your case. What is IMS (Intramuscular Stimulation)? Intramuscular Stimulation isn’t as ancient a technique as its counterpart. It was created in Vancouver by Dr. C. Chan Gunn. IMS focuses on diagnosing and treating pain from a neuropathic standpoint. If you’ve experienced a tissue irritation or an injury, your nerves will tend to malfunction. This, in turn, contributes to neuropathic pain that can get more and more aggravated over time. When your nerve endings get sensitive, they misconstrue everyday sensations as heightened pain. Come to an IMS practitioner and the first thing they will do is conduct an exhaustive physical exam to pinpoint the signs of neuropathic discomfort. The affected points of the body (such as peripheral muscles in the arms and legs or even in the nerve roots closer to the spine) will then be targeted with a dry needle. It differs from acupuncture because only a single needle is inserted into the muscles at a time. As opposed to keeping this in for 25-30 minutes, this needle remains in place for a couple of seconds with the IMS technique. Many muscles can be addressed during one session. Don’t be alarmed if you experience a slight degree of soreness a couple of hours following the treatment. This is to be expected. It is only a temporary cramp that will be replaced with better mobility, reduced pain, and relaxed muscular movements. Traditional acupuncture involves inserting fine needles into the body just like IMS. It must be noted that the purpose and technique of these two procedures vastly vary. Acupuncture is gentle and the patient experiences a mild discomfort after. 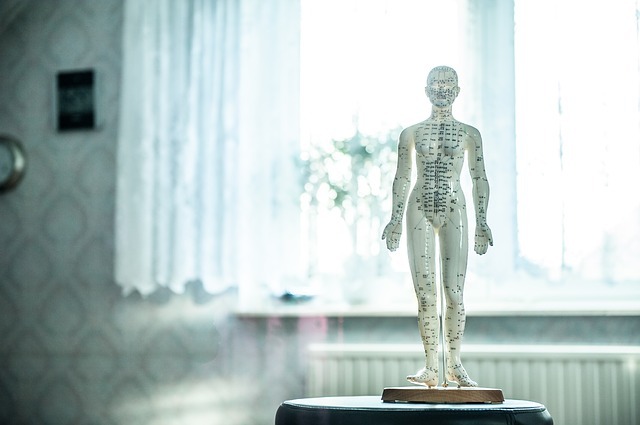 When the practitioner is selecting treatment spots, they do so based on Chinese meridians. The needles remain in place much longer with acupuncture (20 minutes longer). Their purpose is to boost the body’s natural painkillers (endorphins). In addition, all surrounding areas, and not just the pain points, are affected by acupuncture. Depending on the cause and extent of the pain you’re in and the treatment measures you’ve taken in the past, your credentialed practitioner will suggest which technique works best for you. Tired of Putting Up With Chronic Pain? You no longer have to! Our reliable and professional therapists in Richmond Hill can provide the therapeutic relief you need. Go back to living life to the fullest – absolutely pain-free! Contact us today to set up your first appointment.